Amateur Shootout Friday, May 17th on the national track, the day before the pros race on Saturday. 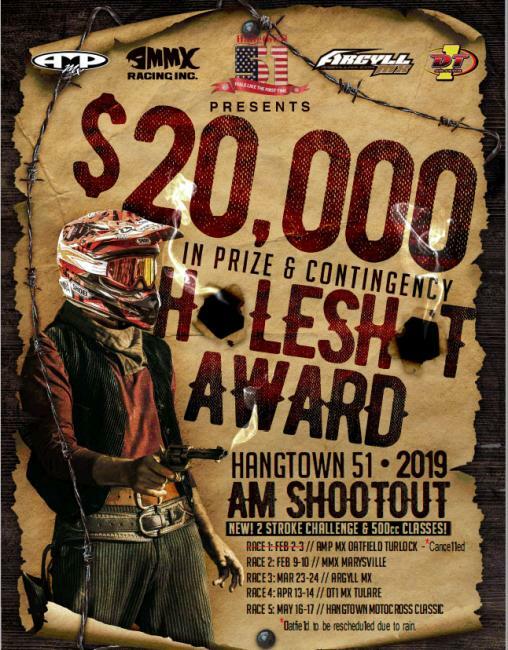 You must compete in 4 out of the 5 rounds to be crowned the Hangtown Amateur Shootout Champ! Amateur pit camping; for the first time in Hangtown history you will be able to camp all weekend where you pit for the amateur race on Thursday/Friday.